B Nailed To Perfection: Meet Me Over The Rainbow Bridge and BPS review. This post is one for all you dog lovers out there. I have always loved animals and owned a variety of them but never had the chance to have my own dog until recently. 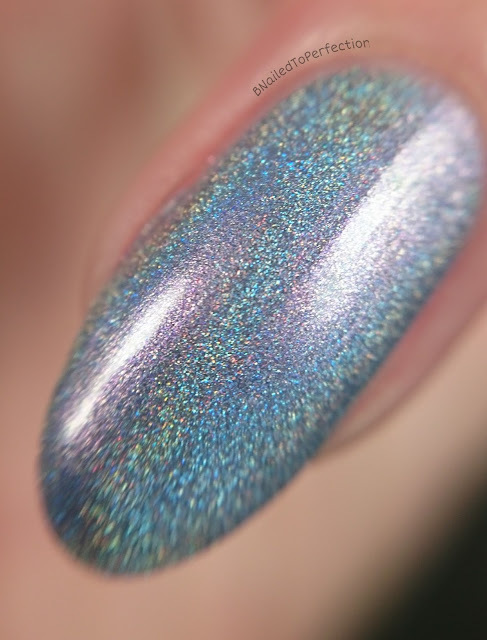 This polish is a very special one and has a lovely meaning. 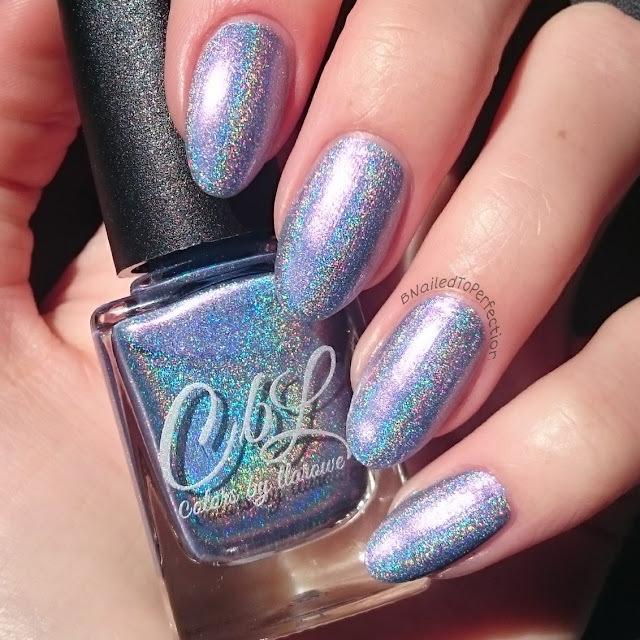 Meet Me Over The Rainbow Bridge is a periwinkle blue holographic and it is opaque in two coats. 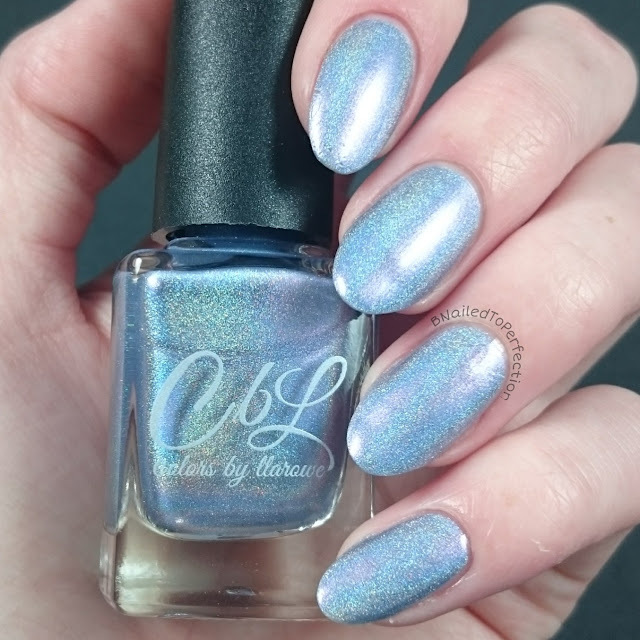 As with all Colors By Llarowe polishes it is so smooth and nice to apply. I top coated with HK Girl Fast Dry top coat. When the sun hits is you can see all the rainbows. 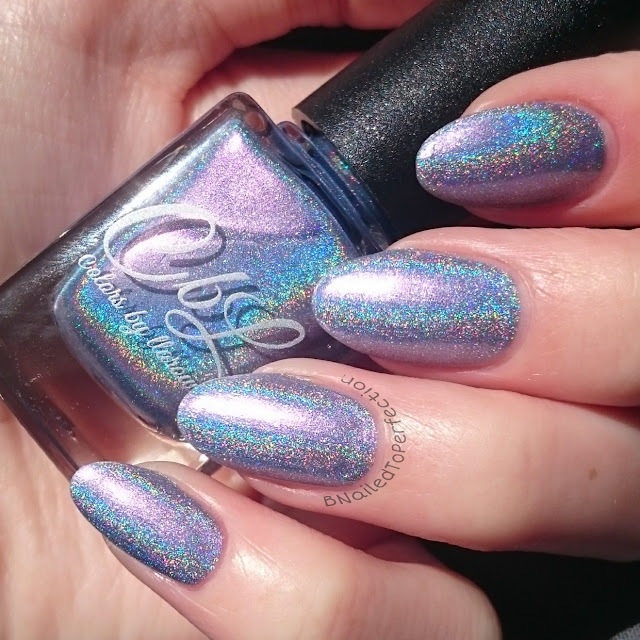 Leah Ann, from CBL made this polish to honour her fur baby, Zipper, and all proceeds from the sale of it goes to the ASPCA. You can read a bit more about Zipper and the polish here. Born Pretty Store recently sent me this animal themed stamping plate to review. Since I last reviewed anything for them, they have changed their packaging and some of the plates now come with plastic backing and a cute sleeve. 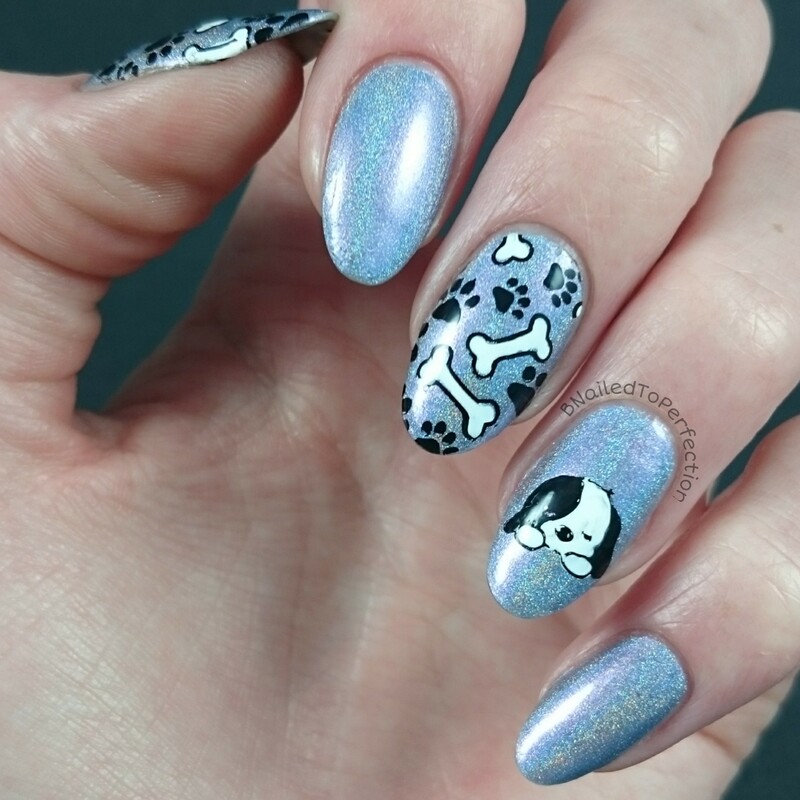 This particular plate has a lot of cute animal images on it and I knew I had to use the dog and bones image with this polish. How cute is that little pooch?! I used my Creative shop stamper and coloured in the white parts with white stamping polish, then applied to my nails. They stamped quite nicely too. I top coated with my HK Girl Fast Dry top coat. 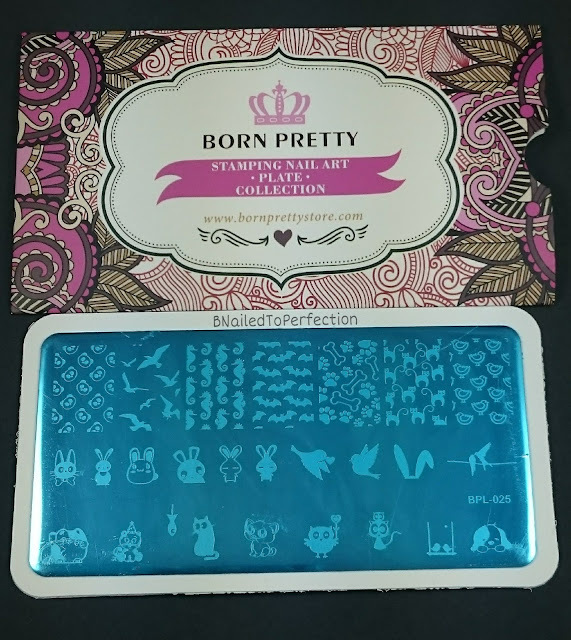 Born Pretty store has lots of other cool stamping plates and tools so don't forget to check them out. You can use my code BNG10 for 10% off full price items. Here's another shot in the sun...just beautiful! Since I have done some dog theme nails is only seems fair that I show you my fur baby. This is Maddie, she is a Puggle and she's nearly one and a half years old. 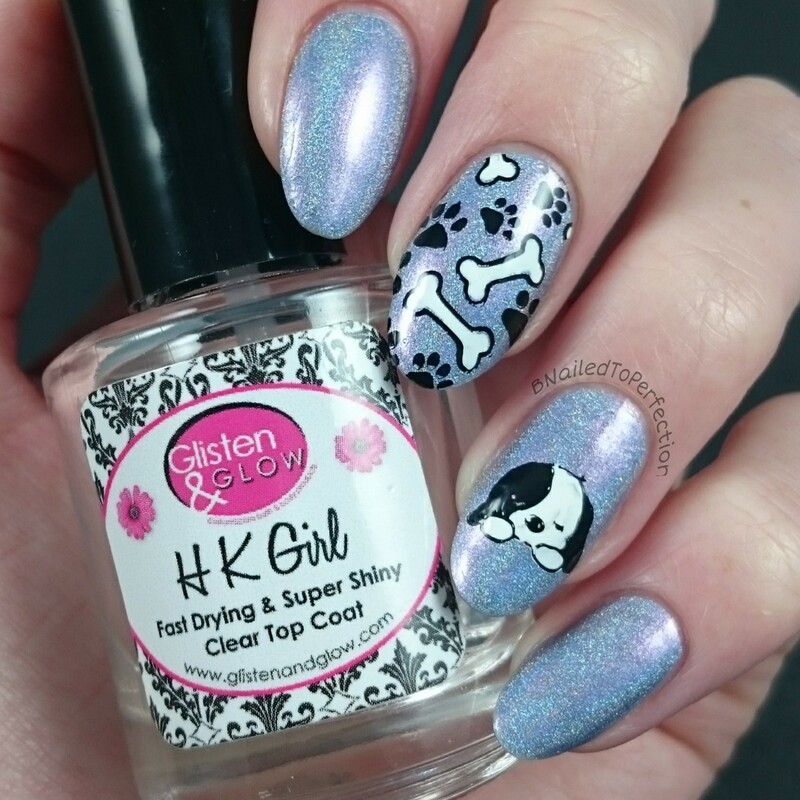 What do you think of these cute dog themed nails? 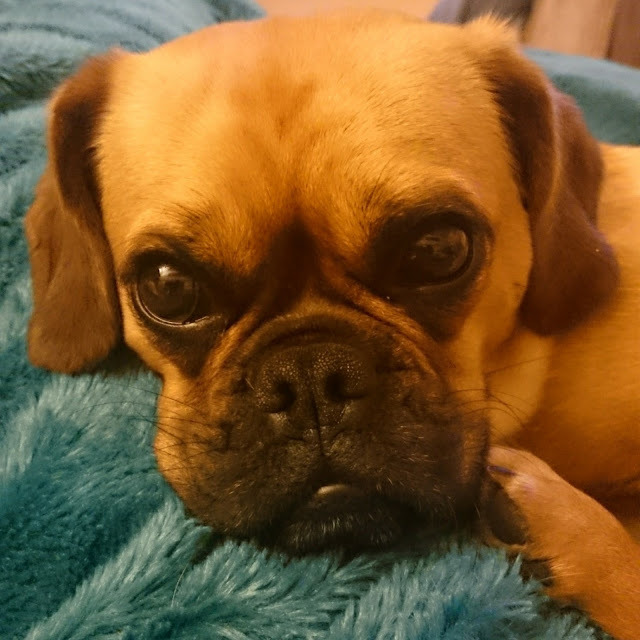 Do you have a fur baby? I'd love to hear about them.